Barrier post from German Viaguide - a premium post developed for a high level of strain which is widely used in airports around the world. 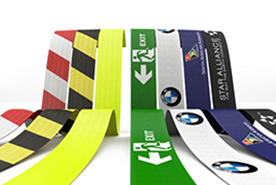 A modell with customized print on the barrier belt. 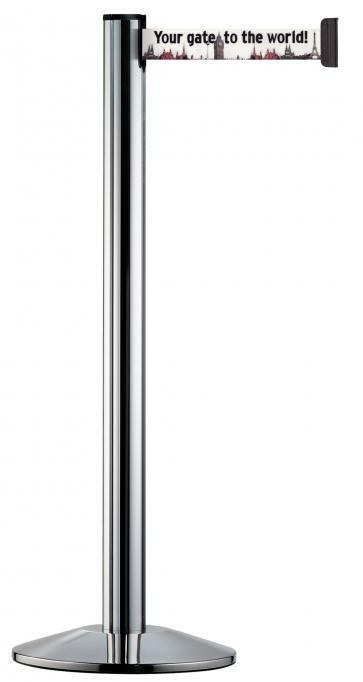 If you wish to attach the post there are variations with magnetic, permanent mounting and removable base. The barrier belt is attached to another post where the belt is attached or directly to the wall with a wall receptable. Important! Please include original graphics as a PDF, EPS etc with the order confirmation/quote. Then we will get back to you with proof for your approval. Time of delivery is decided from after approval of proof - about 2-3 weeks.